Roger Dale Midkiff, born April 12, 1951, passed away October 3, 2010. 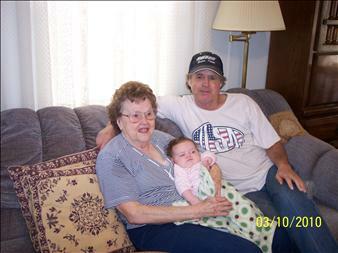 He will be greatly missed by his daughter Kate Midkiff-Sparks; granddaughter Rebecca Sparks; mother and step-father, Mary K. Midkiff Redding and Ernest Redding; sister, Betty Russell; nephew, Jason Russell; aunts, uncles, cousins and friends. The stories I could tell would end up as a novel when it came to the "BULLMAN". 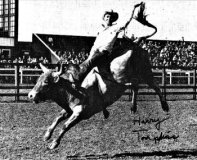 I met him in 1973 at Kluge's Gold Mesa Rodeo, he had got boogered up by his bull on his eyebrow. I was amazed, Butch Couch found some fishing twine and without even a flinch, Butch sewed up Roger's eye. It never phased him! 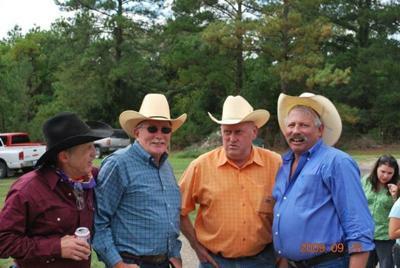 He replied after their "doctoring"..... c'mon "B" let's go to the bar.lol We danced night, I never heard one complaint! His favorite sayings were Yahhhhhhhhh Buddddddy,Jickhead, and instead of Hostess Twinkies, those were called "Bullcakes". He was a hoot and you nevvvvvvvver put nothing past Roger!lol He was in the I.R.A., T.R.A., Texas Rowels Major League Rodeo Team, and SHSU Rodeo Team, Senior Pro Rodeo and many more accomplishments to his credit. 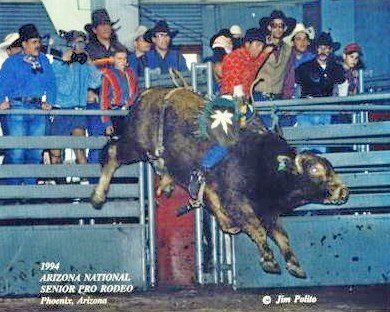 He was truly "THE BULL MAN"! down that lonesome highway he too often knows..
he shoves it in high gear and asks for a "break". he pulls into the grounds ready to enter in another. 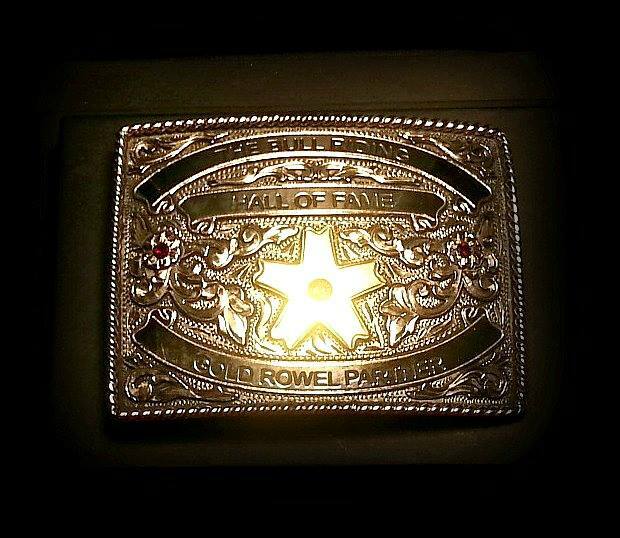 dreams of winning that buckle that bring women in flocks. he prays to himself he wins with this ride. 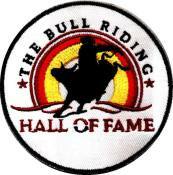 The times are all in..The contestants then wait..
to share the glory of the winning cowboy's fate. Everyone steps aside so he may receive his buckle. Beautiful, Belinda. Thank you very much. Much love. He was a good one for sure!